Code p1258, it goes in the overheat protect mode. CCar does not seem to be overheating, but it shuts the cylinders down. Blowing back through the coolant overflow. No heat. The engine is overheating and yes, the PCM does shut down groups of cylinders trying to cool the engine. The fact that you have coolant pushing back in the overflow tells me you may have damaged a head gasket from the overheating. I suggest having the cylinder leak down test performed to verify a failed head gasket. If it shows a failed gasket, that is the result of overheating not the cause. The powertrain control module (PCM) uses the engine coolant temperature (ECT) sensor to monitor the engine for an over temperature condition. This condition occurs when the coolant temperature is above 128 C (262 F). When an over temperature condition is present, DTC P1258 will set. The PCM will disable two groups of cylinders by turning OFF the fuel injectors. By switching between the two groups of cylinders, the PCM is able to reduce the temperature of the coolant. 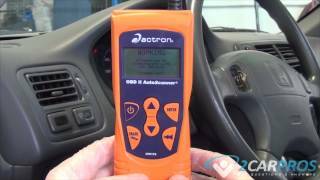 The PCM detects an engine metal over temperature. The above condition is present for at least 8 seconds. The PCM will illuminate the malfunction indicator Lamp (MIL) during the first trip in which the diagnostic test has been run and failed. The PCM will signal the instrument panel cluster (IPC) to turn ON the Service Engine Soon indicator. The PCM will alternately disable two groups of cylinders by turning OFF the fuel injectors. The PCM will store conditions which were present when the DTC set as Freeze Frame and File Records data. A history DTC is stored. 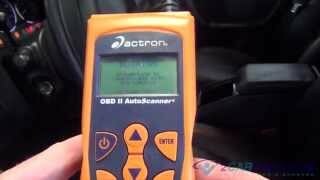 The PCM will turn the MIL OFF after three consecutive trips that the diagnostic has been run and passed. The history DTC will clear after 40 consecutive warm-up cycles have occurred without a malfunction. The DTC can be cleared by using the scan tool Clear DTC Information function.